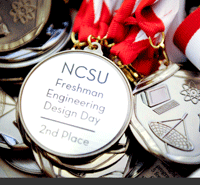 First Year Engineering Design Day (FEDD) is an end-of-semester opportunity for first-year engineering student teams to showcase their design projects and compete for awards. 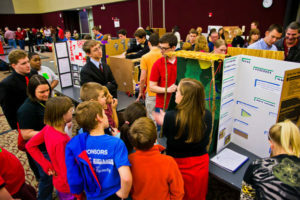 The projects are completed as part of the E 101 – Introduction to Engineering and Problem Solving course and allow students to put core design concepts into practice during their first semester while learning how to work successfully in a design team. Calling all ACE Students that are Interested in Engineering to see what you would do in your first year of engineering in college! Click Here for more information!